Closer, ever closer to real baseball … Not next Sunday, but the one after that — Easter Sunday, in fact — and we’ll have games that matter for the St. Louis Cardinals, starting at Wrigley Field against the Chicago Cubs on ESPN’s Sunday Night Baseball. Two weeks, or just 14 days. And 14 is an interesting number in Cardinals history. It was worn by Ken Boyer from 1955 to 1965 as a player, as well as during his Cardinals coaching career in 1971-1972 and managerial career from 1978 to 1980. The number also was retired by the Cardinals in 1984, following Boyer’s untimely death to lung cancer in 1982. Unlike those who wore the other numbers retired by the Cardinals, however, Boyer is not in the Hall of Fame. Yet, anyway. Here’s more on Boyer that I wrote for Graham Womack’s Baseball Past and Present site and the annual ranking of the 50 best players not in the Hall of Fame. This piece is from 2013, when Boyer ranked No. 37. Perhaps the best measure of whether Ken Boyer belongs in the Hall of Fame comes from the St. Louis Cardinals themselves. Traditionally, the team retires numbers only for Hall of Famers – or, in the case of Tony La Russa whose No. 10 was retired in 2012, those sure to be inducted. Gracing the left field wall at Busch Stadium are the photos and numbers of the Cooperstown inductees: Stan Musial, Dizzy Dean, Red Schoendienst, Bruce Sutter, Whitey Herzog, on and on … plus Ken Boyer’s No. 14. Boyer’s number was retired in 1984, two years after his untimely death from cancer at age 51. 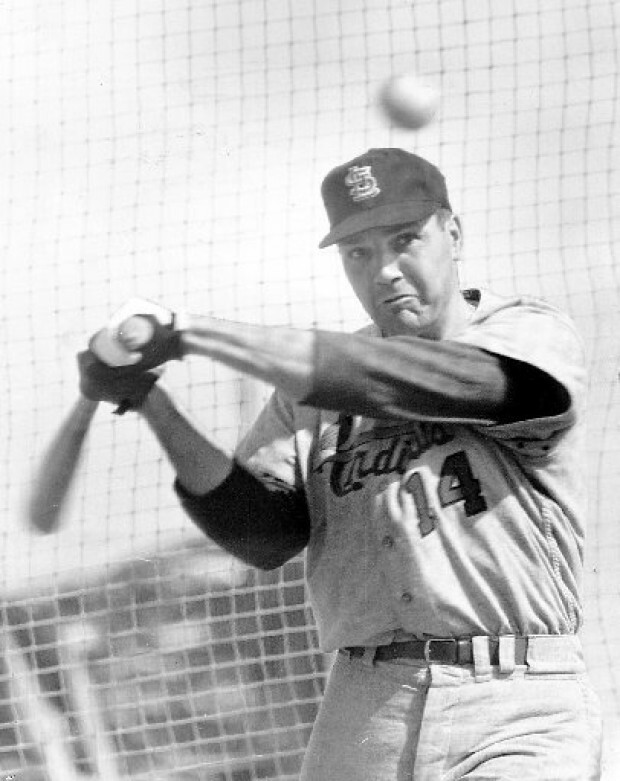 Boyer was the National League MVP in 1964, as well as a key contributor during that year’s Cardinals World Series championship. He was a seven-time All-Star and five-time Gold Glove third baseman whose numbers for his 15-year career – .287/.349/.462 with 282 home runs, 1141 RBI, 58.7 WAR – are comparable to those of Hall of Famer Ron Santo over his 15-year career. Of course, Santo’s journey to the Hall was long and winding, but ultimately resulted in induction. And the sentiment of long-time Cardinals fans, with this being one example, is that the same should hold true for Boyer. He was ranked No. 40 in 2014, for which I wrote a similar piece. Cardinals fan Kevin McCann is writing a biography of Boyer — check out more info on the book’s Facebook page. And now just 14 days! This entry was posted in 2015 Cardinals and tagged Countdown to Opening Day, Hall of Fame, Ken Boyer by Christine Coleman. Bookmark the permalink.